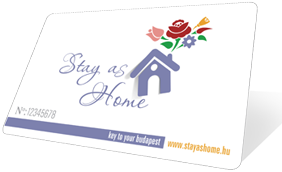 Dear foreign and domestic students, here is November and here is another irresistable special offer in SzendZso. Chicken wrap + 2 dl fresh orange juice = 20% off. After many years spent in the kitchen, we decided to make our lifetime dream come true and start our own breakfast café, just the way we had envisioned it. This is how SzendZso got started, in the heart of Budapest, only 2 minutes from Margit híd (Margaret Bridge) on the Buda side. SzendZso is a place where you can have a good breakfast, a cup of coffee, or even a nice lunch. We serve brunch, wraps, bagels and baguettes from morning to night. Regular live music of style adds to a pleasant atmosphere. Our adherence to quality is reflected in our range of Hungarian artisanal food products. To accompany our special dishes we offer specialty drinks, such as Italian Lamborghini Coffee, Sweedish Cider, American Chai Latte, British Smoothie, Jucie Water, Teapigs Tea, just to name a few. We warmly welcome students for a before-school coffee; tourists, for a glass of fine wine; and the old lady from next door, for some home cake and a good chat! Visit us and taste our delicious food, and keep smiling as we do!